There is a black-hat SEO tactic known as keyword stuffing which HVAC companies should avoid at all costs. If your current marketing company is stuffing keywords on your behalf, expect to be penalized by Google, if not officially, then in the form of a severe rankings drop. As Google’s algorithm has evolved, websites using manipulative tactics have suffered the most. HVAC Webmasters only uses ethical keyword placement. Call (800) 353-3409 to discuss local keyword ranking for HVAC companies. 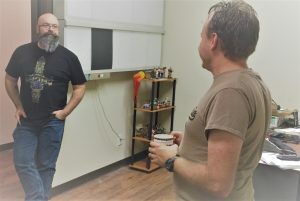 Each of the queries above would be relevant to a heating and cooling service and traffic relevance is the main objective of local keyword ranking. There is a phrase in digital marketing known as “empty traffic” which represents website visitors that have zero chance of becoming a customer. That empty traffic is usually a result of poor keyword choices. For example “How to fix an AC” would not help your business because the user is looking for a “How-To” video or manual, and is not looking to spend money. The prominence of keywords has decreased during Google’s evolution. SEO is more about searcher intent than verbatim queries. With that said, keywords are not obsolete. Local keywords in particular, can still be a major part of a company”s internet marketing strategy. This is especially true for long tail keywords which combine an industry keyword with a local keyword to create a longer and more precise phrase. For an idea of what’s to come, Moz forecasts what local SEO will look like in 2018, and beyond. 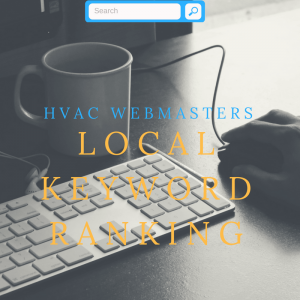 The team at HVAC Webmasters understands that contractors don’t have the time or resources to invest in local keyword management. In fact, we know it more so than most. We have spent years working with companies in the heating and cooling industry to improve their online presence and produce high quality leads. 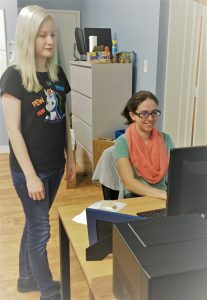 Our services extend beyond local SEO, and also include mobile web design, social media advertising, and much more! Call (800) 353-3409 to learn more about local keywords. Updated on April 5, 2018 at 9:53 pm by HVAC Webmasters.